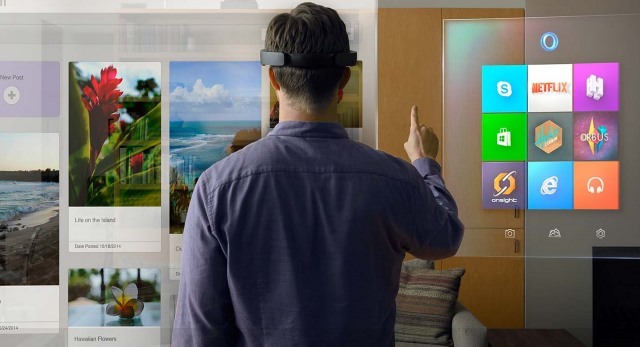 Microsoft HoloLens is certainly more than a normal, simple headset display. It uses 3D holograms seamlessly blended with the real world. How does these holograms appear? 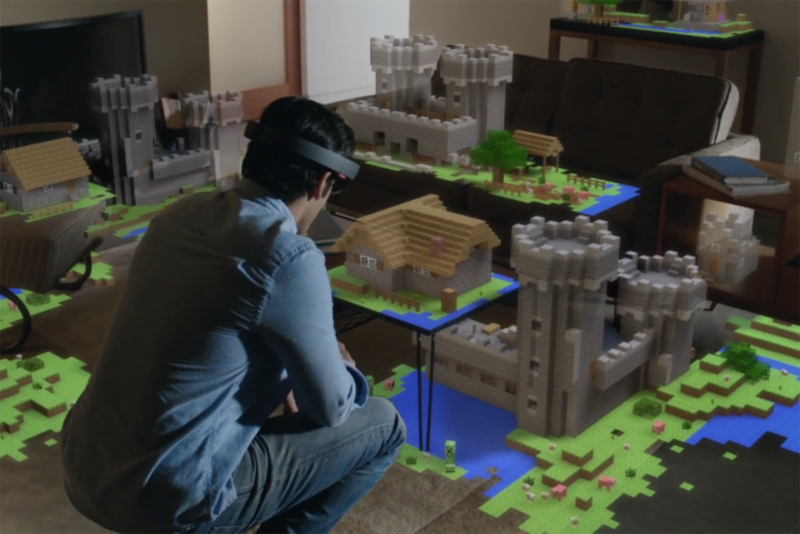 The HoloLens comes with semitransparent holographic lenses which ‘generate multi-dimensional full-colour holograms’ that only a wearer can see, without projecting images into a room that everyone can see. As a HoloLens wearer, you’ll still see the real world in front of you. You can walk around and talk to others without worrying about bumping into walls. The goggles will track your movements, watch your gaze and transform what you see by blasting light at your eyes Because the device tracks where you are, you can use hand gestures to interact with the 3D images. The device also has a built-in camera that looks at the room, so the HoloLens knows where tables, chairs and other objects are. It then uses that information to project 3D images on top of and even inside them. 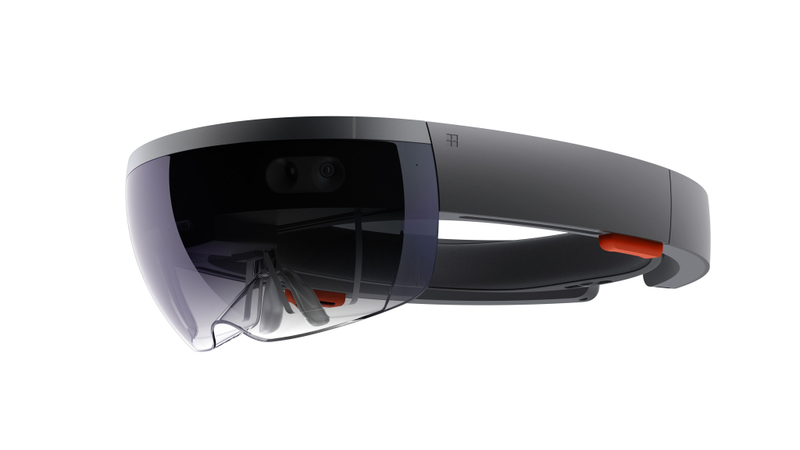 The HoloLens is currently available as a developer’s edition and a commercial model. Microsoft has decided to cancel the second version of the HoloLens, and they will instead move onto version three of their mixed reality headset. In the latest report, Thurrott’s Brad Sams states that the expected release date of this new Windows Holographic device wouldn’t be until 2019. The HoloLens/Skype experience that Microsoft wants you to have could revolutionize the future of virtual meetings with holographic explanatory gestures and split-screen viewing. And what really drives me crazy is Holoportation. 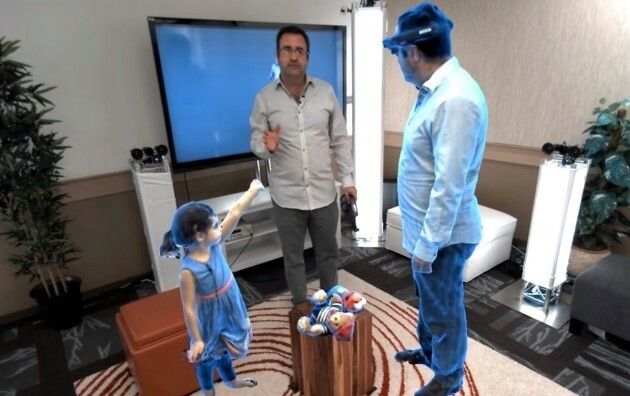 Do you remember hologram communication in Star Wars: Princess Leia pops up in a hologram and tells Obi-Wan Kenobi he’s her “only hope.” Holoportation is something like this. A massive array of 3D cameras in one room captures an entire person’s movements and speech in real time, then projects them into another room where a HoloLens user can see them and interact with them. HoloLens brings education to a complete new level, allowing kids to interact with reality while learning about the most diverse topic. For instance, President Lincoln’s assassination, the Moon landing, and other historical events will be recreated in precise detail. 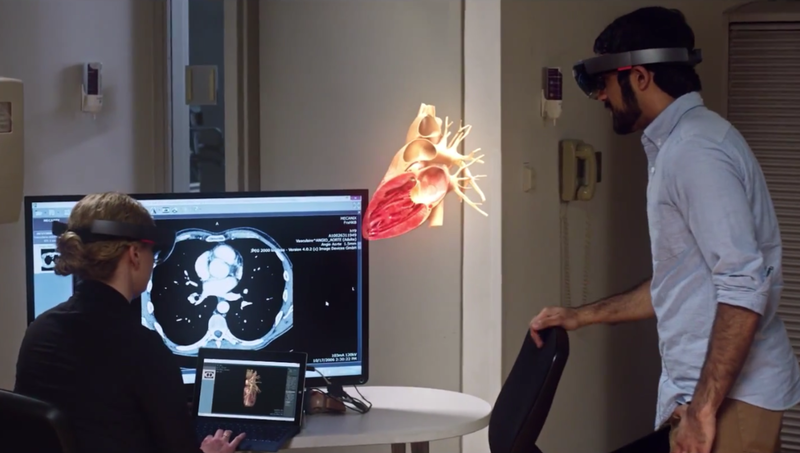 Another domain that could leverage the HoloLens potential is medicine: low-risk practice for medical students; detailed surgeries planning. For instance Schneider Children’s Medical Center in Israel created holographic versions of eight patients’ hearts that floated above them during minimally invasive surgery. 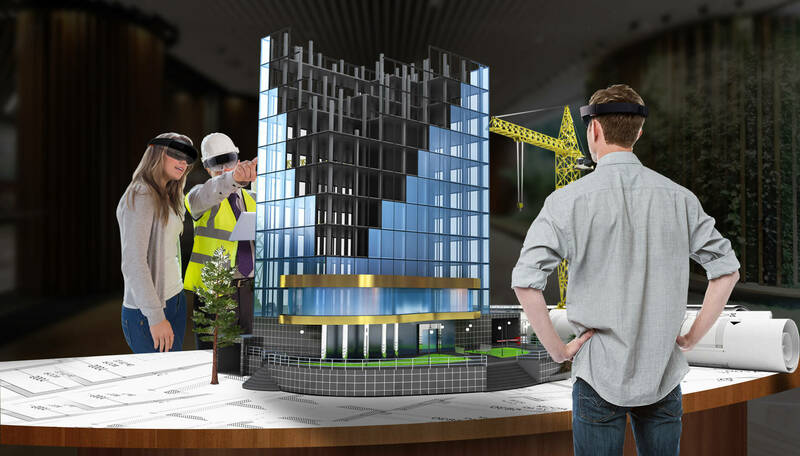 The HoloLens is fully aware of the structure of the environment surrounding the person, hence it can build structures, animate and overlay any game element directly on what the person sees, making it the ultimate interactive experience. Just imagine seeing hordes of animals grazing around your carpet, avoiding bullets behind your sofa, or hiding from Zombiesn the closet. Because the HoloLens has the ability to scan and map objects and surfaces, you’ll be able to design all sorts of things and see the “finished product” right in front of you. Holograms will make digital content seem as real as physical objects in a room and will allow you to interact with them unlike ever before. This means you’ll be able to fine-tune designs more effectively while seeing your ideas come to life right in front of you or by enabling the projection of life-size plans for walk-throughs right from the conception of projects. With the HoloLens you could watch movies or browse the internet through a virtual screen no matter what part of the house you’re in (say, lying comfortably in bed). Physical screens and monitors may eventually become things of the past, as we transition to interfaces that exploit physical intuitions about the world and naturally fill the space around you. Hololens usage is not only limited to the above mentioned points and it could be applied for many more spheres. In conclusion I think this technology is brilliant, mixed reality feels to me like a much better experience than VR due to you being able to use your actual environment. Is it going to be widely used? I`m afraid not due to its high cost. Could it have really impactful applications in the world of business by aiding collaboration, improving speed to market and allowing customers to visualize product that they could have never experienced before – definitely! Next postM2M. Main differences with IoT. Trend Industries for using.